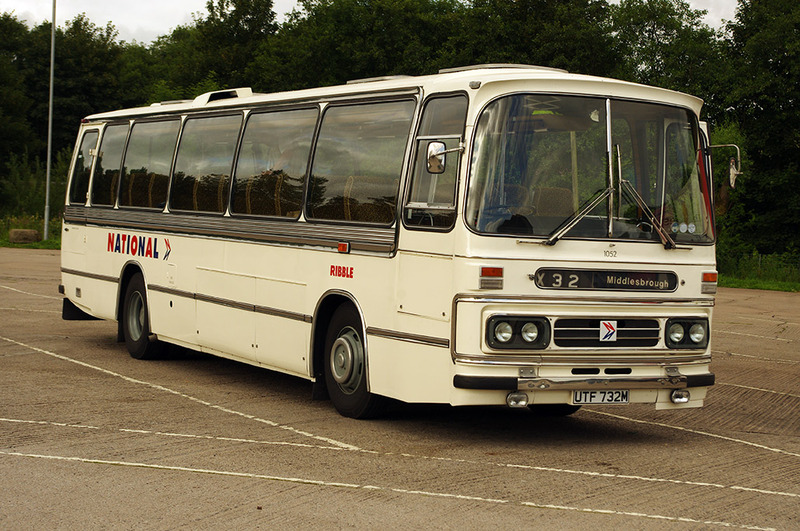 The Leyland Leopard with Duple Dominant bodywork in various forms became the standard for Ribble’s coaching requirement from 1973 until the end of the decade. 1052 was part of the third batch of Leopards with Dominant I bodywork (1041-1059) delivered in 1974. They were virtually identical to two previous batches delivered in 1973 to Ribble, web others of the type being delivered at the same time to National Travel North West. Popular with crews and passengers alike, they were comfortable vehicles and could be found on most of the Company’s express routes. 1052 was delivered to Kendal and remained at the depot until February 1979 when it was transferred to Ulverston. During the same year it was converted to OPO configuration, presumably being repainted in NBC poppy red and white DP livery at the same time. It was to remain at Ulverston until transferred with sisters 1044, 1045, 1055 and 1056 to Cumberland Motor Services in June 1989. Stagecoach had taken over Ribble in April of that year, having previously acquired Cumberland direct from NBC in July 1987. 1052’s transfer was part of Stagecoach’s realignment of Ribble and Cumberland depots and vehicles. 1052 was sold by Stagecoach to a Cumbian independent circa 1992, and by 1995 it had moved to mid-Wales in the care of the 3rd Cardiganshire Scout Group. Acquired by a RVPT member in 2001, it was sent to BusWorks in Blackpool for a full restoration in 2007 and this was finally completed in June 2009. Since then it has been fully operational and has been used by the Trust for a number of long distance trips.